My comrade Pex rang me and, as only Pex can, began to quarrel, cuss and laugh at the same time about lawyers claiming that they were defending democracy and representing the masses in their bid to get rid of the Chief Justice. Just think about it: these robed and ready predators on the body politic, these seekers after silk trying to portray themselves as protectors of the public interest. It’s incredible! Led by a cut and paste attorney who has many questions to answer (except to the Law Association) about possession of disappearing court papers; about representing the dead, about interfering with clients’ money, the gathered lawyers claimed that if the Chief Justice does not resign, confidence in the judiciary would be shaken. Confidence in the Judiciary? What planet are these characters inhabiting? Michael Harris, the Express columnist, even claims that “the judicial system...was seen by the citizens as the last bulwark, the last line of defence, against the intolerable incursions of an uncaring state system.” I don’t know what circles Harris moves in, but in the circles within which I move that statement would be greeted with raucous, derisory laughter. Far from being a line of defence against the state system, as Harris would have it, the judiciary is at the heart of the neo-colonial, capitalist state. It pretends to stand above the conflicts and struggles that class and group interests necessarily have to engage in to defend, protect and advance their respective interests. In actuality it ensures that some level of order is mediated and maintained among the privileged elites while the working people and the poor are kept firmly in their place, pre-emancipation through the whip and other instruments of torture; post-emancipation through the courts and what Engels would have described as special bodies of armed men, prisons etc. 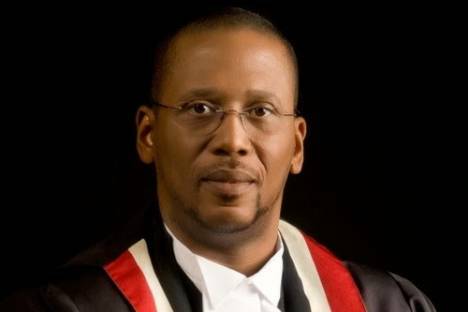 Trotman goes on to say: that in nineteenth century Trinidad “One’s chances before the courts depended in large measure on one’s class, color and racial origin. The bulk of defendants were, of course, from the working class and were predominantly black and East Indian.” Sounds eerily familiar, doesn’t it? One hundred and seventy years ago, the barefoot masses grasped this truth that the chattering classes are still trying to obscure and obfuscate with their incessant old talk about separation of powers, justice and democracy. Democracy is supposed to be of the people but the jhanjat erupting from the appointment of Ayers-Caesar and others has exposed that not even the lawyers know on what basis judges are appointed, far less the “people” whom all of a sudden lawyers claim to represent. Consciousness of justice is not constrained by the institutions of justice. The very legal and judicial institutions may come to be seen as unjust. The crown colony system conformed to the tenets of the British legal system, but to the masses it was unjust, in that it did not allow them to participate in their own governance. It had to go. Different class interests see justice through different eyes. A capitalist would see a strike as being unjust because it hurts his interest (his profit). A worker may see a strike as being just because it may bring him what he considers a living wage. So all this talk about accountancy, transparency and justice emanating out of the mouths of those who prey on the poor and on the public purse; those who will happily come up with diametrically opposed “advice” once the price is right, is so much rubbish. Whether Archie stays, goes, resigns or is impeached is immaterial in so far as the so-called justice system impinges on the life of the working people and the poor. People on remand who are refused bail or who cannot afford bail will still spend eight, nine, ten years in remand yard. The privileged elites will still plunder the public purse with impunity. Working people and the poor will still not be able to get “justice” because they can’t afford to pay. These “unjust” conditions were there before Archie became Chief Justice and unless there is a thoroughgoing socio-economic and political revolution, they will be there after Archie goes the way of all flesh. The issue, therefore, is not whether Archie must go; the question is how do we go about creating a system within which working people and the poor can obtain “justice”.